A delicious slice of pizza with a rich tomato sauce, melted cheese, grilled onion and a sprinkle of oregano, all captured in a classic, crunchy potato snack! 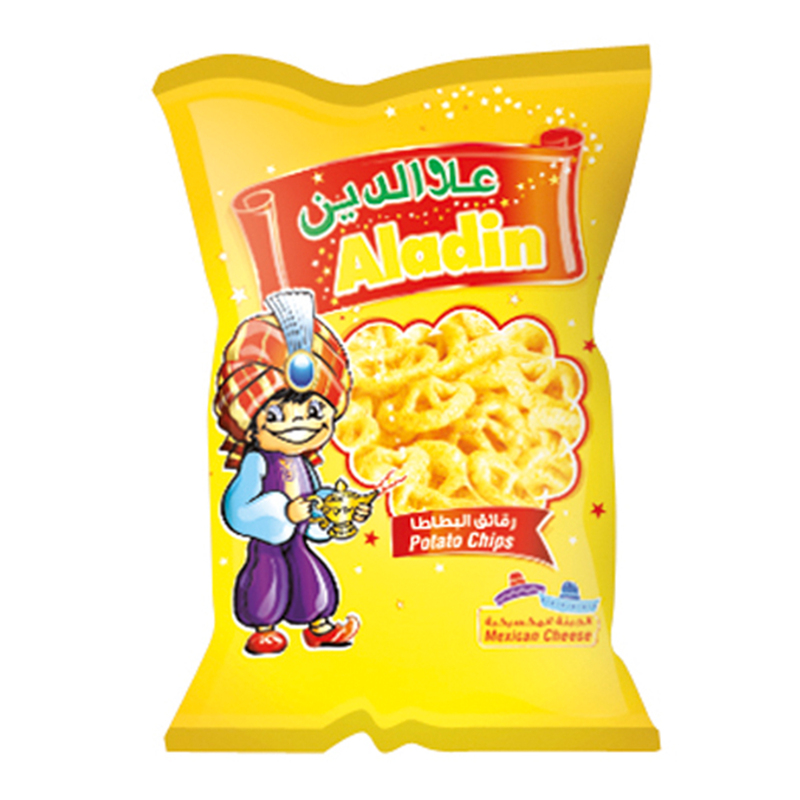 You won’t believe how close Aladin Potato Crunchies come to the real thing. 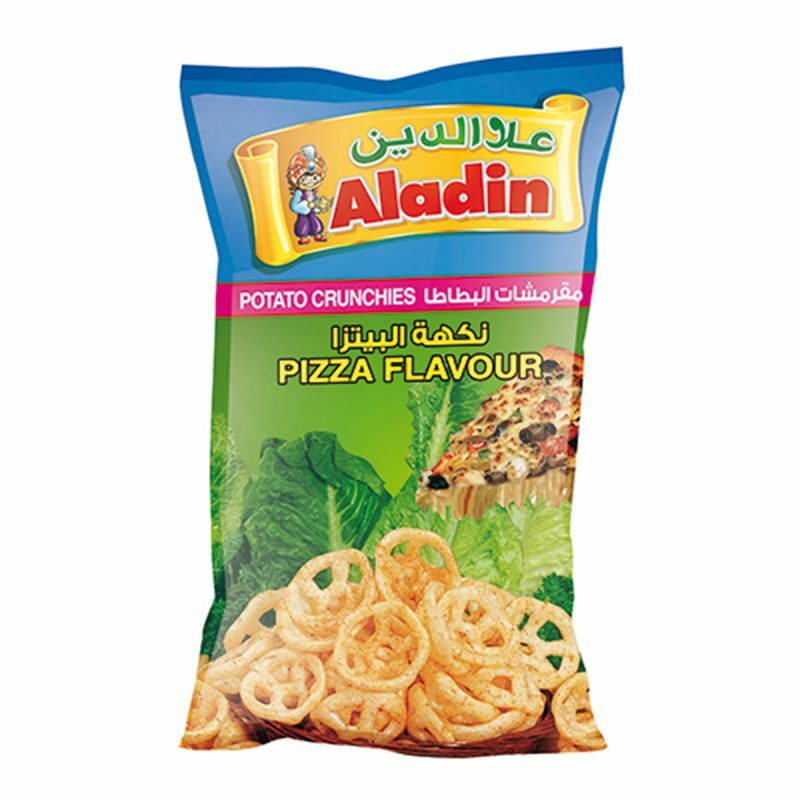 Aladin Aladin Potato Crunchies – Pizza (60gm) 60gm Packet. 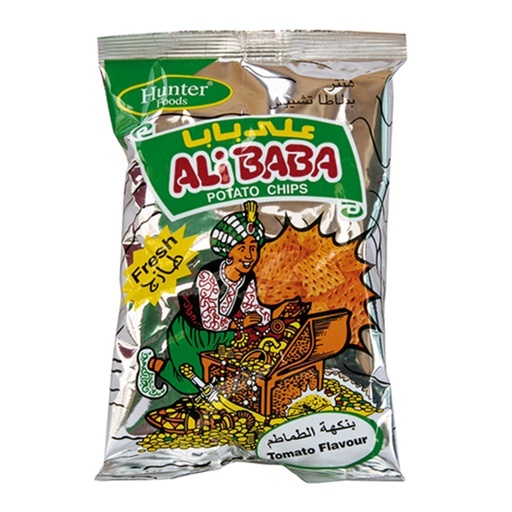 Potato Snacks, Non GMO, No Preservatives, No Artificial Flavours, No Artificial Colours, Vegan, No Transfat, No Cholesterol, Halal. Wheat flour, tapioca starch, maize starch, potato solids, salt, sodium bicarbonate [E500(ii)], turmeric, palm olein oil , pizza flavour: [maltodextrin, flavour enhancer (monosodium glutamate E621), palm oil, onion, tomato powder, sugar, oregano, acidic equalizer (sodium diacetate E262), paprika colour (E160c), silicon dioxide (E551), black pepper].